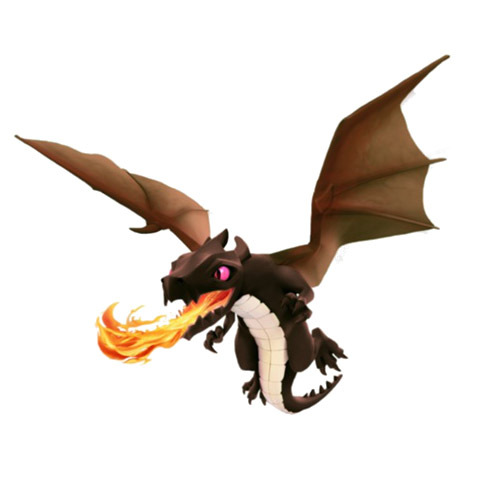 Dark Spells Update: The TH9 dragon attack will be stronger now with the inclusion of level 4 dragons at this TH, however it will likely still not be as strong as a well-executed Laloon attack. I will be possibly adding a section to address this update in the future. This section gives a brief overview of the mass dragon attack at the TH7/8 level, including its capabilities and our expectations of what experienced players should be able to achieve with it. Many of the ideas introduced below will be demonstrated in YouTube attacks in the following sections. What About TH9/10 Dragon Attacks? The mass dragon attack is only able to consistently 3-star maxed bases at the TH7 and TH8 level. At TH9, the mass dragon becomes a 2-star attack, and is thus not an option for any serious clan. In particular, our clan does not allow dragon attacks for any TH9+, so a discussion of dragons at this level has been omitted. The general army composition of the mass dragon attack consists of 10 Dragons along with Clan Castle (CC) troops; archers should never be used in place of a dragon. Ideal cc troops are usually either an additional dragon or a set of lvl5+ balloons; we almost never use cc hogs. CC balloons have the benefit of targeting defensive structures like hogs do, yet they have dragons tanking for them, where as hogs get blasted by cannons and mortars. Additionally, cc loons are great at setting off seeker mines, which saves a dragon from being wasted. Why No Archers? Some players like to make the argument that archers are essential in funneling dragons to the core and for picking off builders huts located on the far corners of the map. The reason why archers are bad though is that a dragon can just as effectively do the same job that archers do. The difference is that after a dragon is used to funnel a group of dragons into a base, the dragon is still a dragon and it continues to attack. On the other hand, a group of archers instantly melt when they move into range of cannons and mortars; the use of archers essentially amounts to one dead dragon on your part. In regards to huts located at the corners of the base, dragons can be placed next to one of these huts at the start of the attack. By positioning the dragon correctly, it will move towards the base and join up with the rest of the group after the hut is destroyed. Overall, the main thing to keep in mind here is that when attacking a very tough base, you can’t afford to start off the attack with one dead dragon. As a quick example of what we mean by not using archers (or anything related), consider the following attack where level 1 dragons 3-star a TH8 with maxed ADs in the core. Note that the firsts few dragons not only clear a path for the main force to march down the middle, but they also join up with and bolster the main dragon force after their initial work is done. Every dragon that was used in this attack was needed to earn the 3-star victory here; there was no chance that using 20 archers at the expense of one fewer dragon would have had enough of a punch to finish the base. These are the standards that experienced players should expect to uphold, and for newer players to work towards reaching. Furthermore, experienced players should also generally expect to never lose to three lvl5 AD’s when using lvl3 dragons, regardless of how well laid out the base is perceived to be. Newer players should always be using three Lightning Spells against any TH7 and all weaker TH8s. Lightning allows a solid attack to have a guaranteed in either case, as this spell choice is most forgiving in terms of mistakes made. As an aside, note that dragons should always be deployed first before the use of lightning (when used). Using lightning first amounts to losing 8-10 seconds from your attack, which can easily be the difference between a two- and three-star attack. Against tougher TH8 bases, players may want to start considering using Rage/Healing combinations in certain situations. Rage/heal works best against tight, nested AD’s, usually located in the core (either 2rage/1heal or 1rage/2heal). However, this spell choice requires more skill in terms of funneling dragons and keeping the pack together, so it is generally less forgiving than lightning spells are. On the other hand, lightning spells still work great against tougher TH8 bases with spread out AD’s. Example attacks of each spell choice are shown in the following section. What Level Lightning Spell Do I Need? Lvl3 lightning spells are sufficient in taking out a lvl6 AD. However, doing so requires absolutely perfect central placement of the lightning spell; off center placement by half a tile would not take the lvl6 AD down. Alternatively, a lvl4 lightning spell is more forgiving of perfect placement; while the spell still needs to be centralized on the AD, a slight offset will still take down a lvl6 AD in this case. Why Not All Rage Spells? Using three rage spells is another common mistake new players make, and is generally a poor choice to make (the use of three rage spells should only be considered by very experienced players attacking difficult maxed TH8+ bases in special circumstances; three rages are never needed against anything less). The reason for this is because rage spells do not stack with one another, and because two rages can easily cover the core of a base with nested AD’s. In the case that one might want to use three rages because the AD’s are spread out more, lightning spells offer a stronger, more forgiving option. As an aside, heal spells do stack with each other. But Rage Helps Keep My Dragons Grouped Together! No it doesn’t. The rage spell increases movement speed and attack damage, it has nothing to do with acting as a dragon magnet. Why Healing Spells? 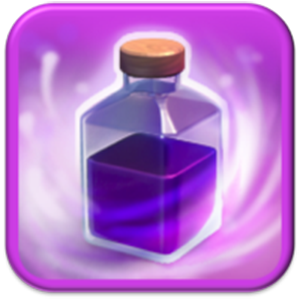 Following from above, while rage spells don’t stack, a heal spell do stack with each other; this allows us to double up on spells during the heavy part of the base. Some people make the argument that heal is a waste because it heals at a lower rate than AD’s deal in damage. This is a ridiculous argument though. For the dragon both being hit by an AD and being healed at the same time, the heal spell has the effect of reducing the net damage inflicted by the AD. Beyond this, the rest of the group not being attacked by the AD is healing as well. The heal spell also provides a solution for recovering from seeker mines. The biggest mistake new players make is to deploy all their dragons in a single spot, known as clumping. This will always cause your dragons to split up and fly around the opponents base, instead of working into the base and taking out the desired AD. Instead, dragons should be spread out around the AD’s being targeted. This however does not mean that dragons should all instantly be put down in a spread out line either. The biggest goal of the dragon attack is to have all of your dragons deployed and all in range of an AD the second one of the enemy AD’s takes its first shot. Doing so will minimize the amount of time it takes for your pack to reach the AD’s. To better make sense of why this is important, think about how effective the other end of the spectrum would be, if one were to send their dragons in one-by-one at the attacking AD’s. In order to achieve this goal, some basic awareness of the structures in front of the AD is required. We don’t want to necessarily throw all of our dragons down right away, because some buildings will die faster than others as our dragons move into the base. In order to keep a uniform attack moving forward, we need to put extra firepower on heavy structures like storages, and very little firepower on light structures like army camps or builders huts. Another issue that we see in some of the more popular strategy videos is the clumping of dragons after first using cutters on the sides of the base; this deployment technique is quite bad. Even if the cutters get the rest of the dragons into the first layer of the base, the dragons immediately begin to spread at that point. Also, when using lightning spells in particular, we never want an ultra tight clumping of dragons, because we are then taking maximum damage from air bombs and wizard splash damage. Furthermore, if the base itself has several defensive towers lined up on the edge we attack from, we want our dragons to move in uniformly so that the entire line is taken out quickly. Lastly, it would be an unforgivable loss if the dragons used as cutters are killed by an AD before the rest of the group is even deployed; such a situation would be equivalent to using archers for funneling, which as previously mentioned, is also a big mistake. You should never be just throwing away dragons in your attack. The approach can always be timed well such that the pack itself is actively moving in on the base while the cutters work their magic on outer buildings. No additional considerations are needed here when bringing a dragon in the cc. However, bringing along balloons is a different story. Balloons always target the nearest defensive structure, so try to map out the path they would take from the spot you are planning on deploying them from. Balloons are typically used to target AD’s while dragons tank for them. However, on bases where the AD’s are easily reached, balloons can also be used to pick off a group of nested archer towers, especially when the barbarian king is used to tank for them. In the case of attacking bases with nested clustered AD’s, cc loons are great for both picking of AD’s and wasting seeker mines as they are sent through the core of the base. These bases will be discussed in more detail in the following section. 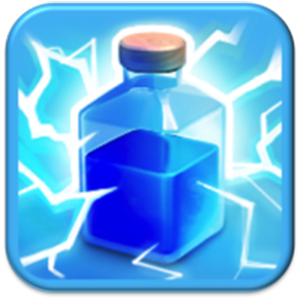 Lightning spells are best used to target the hardest to reach AD, or the strongest AD when all other things are equal. The chosen AD should always be on the far side of the base from your attack point. Before using lightning, it is important to zoom in on the target to ensure a dead-center hit. Make sure that you do not have the spell selected when you zoom in, since this is an easy way to misfire it; have a dragon selected instead. A mistake with lightning is to get fancy and try to zap an AD while cc troopers are filing past it. While this outside-the-box thinking is good to do, in this case the idea works out terribly in practice. You will almost certainly get attacked by the AD in question by waiting on it, which outweighs any of the benefits you may have received by knocking out a few troops along with the AD. Moreover, since you should always be zapping the AD on the far side of the base, the enemy cc troops shouldn’t be passing over a potential target AD either. 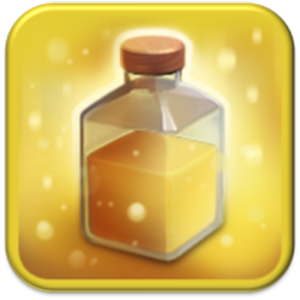 As for heal/rage spells, the timing and placement is very important in order to maximize the benefits of these spells. Generally you want to slightly lead the placement just ahead of your dragons, but not so far ahead that it doesn’t catch the dragons. Additionally, the rage/heal combination works very well on cc loons too, so the timing should be such that both the dragons and loons are picked up by the boosts. Several of the videos in the attack styles section show how to properly place these spells. Additionally, a common mistake with the BK is to use his iron fist ability the second he is deployed. As his ability grants him +500hp recovery, this hp is entirely lost if iron first is used at full health. We can think of this as equivalently dealing our BK 500 damage. Some argue that his ability is rushed so that the BK helps funnel dragons by cleaning up outer structures at a quicker rate, but an easy fix for this is to just drop the BK in earlier. One should always be aware of how far their dragons must progress into a base before the enemy clan castle empties. Additionally, one should also take note of how the clan castle is positioned in the base with respect to the AD’s. The reason is that enemy cc troops will pull nearby dragons to them, which can potentially pull them away from an AD that they were about to attack. Furthermore, it can be the case that the enemy cc troops pull in so many dragons that one side of the attack is left so weak that it is unable to take down the targeted AD. By being aware of how our dragons will respond to enemy cc troops, we can plan accordingly and keep our attack well-balanced by tweaking our initial deployment appropriately. An example video of this is shown in the following section. The TH7/8 dragon attack is the only CoC attack where we never lure cc troops. The reason for this is as follows: Dragons each fill an even camp space of 20, and since camps max out at 200, the cost of luring would amount to one less dragon in our attack. Moreover, due to the splash damage of the dragon attack, we typically don’t lose a dragons worth of hp to enemy cc troops. 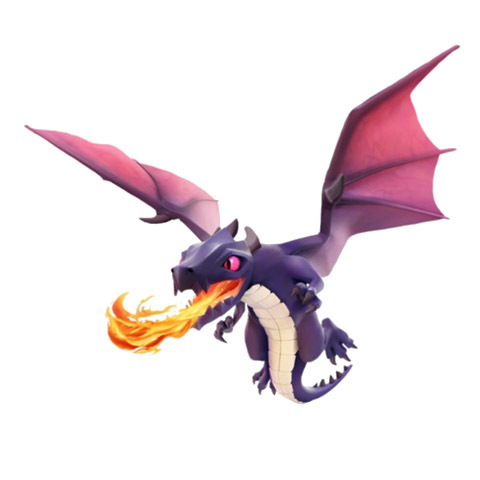 On the other hand, if it were the case that we regularly lost more than a dragons worth of hp when attacking without luring, we would instead want to lure with this attack. Another common misconception about dragons is that they have ‘stupid AI’. Dragons always go to the closest structure, which is a predetermined process. Consequently, dragons only behave as though they have ‘stupid AI’ when they were poorly deployed during an attack. Everything that happens in an attack happens for a reason, so try to think about how failed attacks can be improved upon, instead of brushing them off as the result of flawed programming.